Children ages 6-13 (1st through 7th grade) will embark on all the learning you’ve come to expect from Camp Kroc — plus even more. 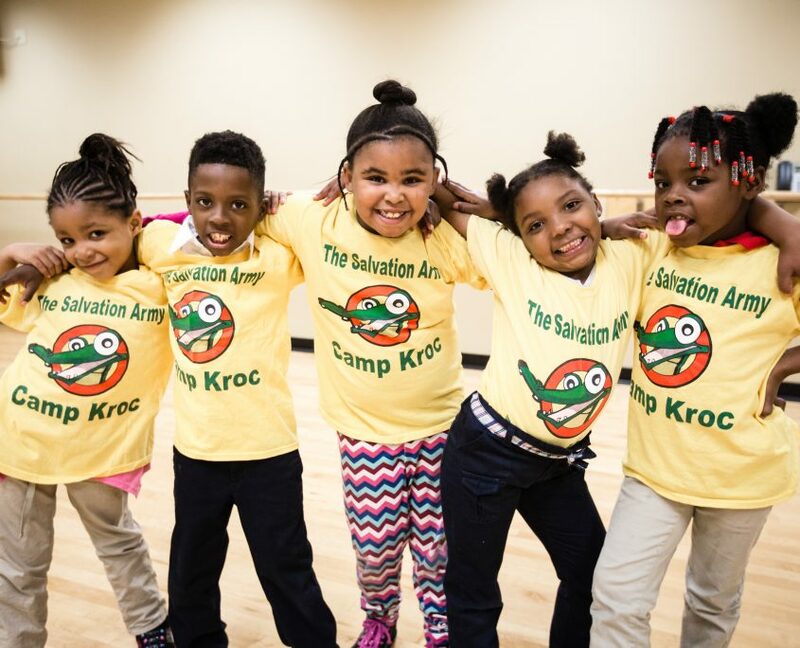 Under the dynamic leadership of Dr. Cherilee Walker, Camp Kroc will build on the excitement of past Camp Krocs and continue expanding offerings. For all 11 weeks of summer, children will participate in sports or arts tracks while learning fundamentals in each. This year will include a citizenship component, as well as an expanded repertoire of field trips. Space is limited, so get your applications and payment for week 1 in early! 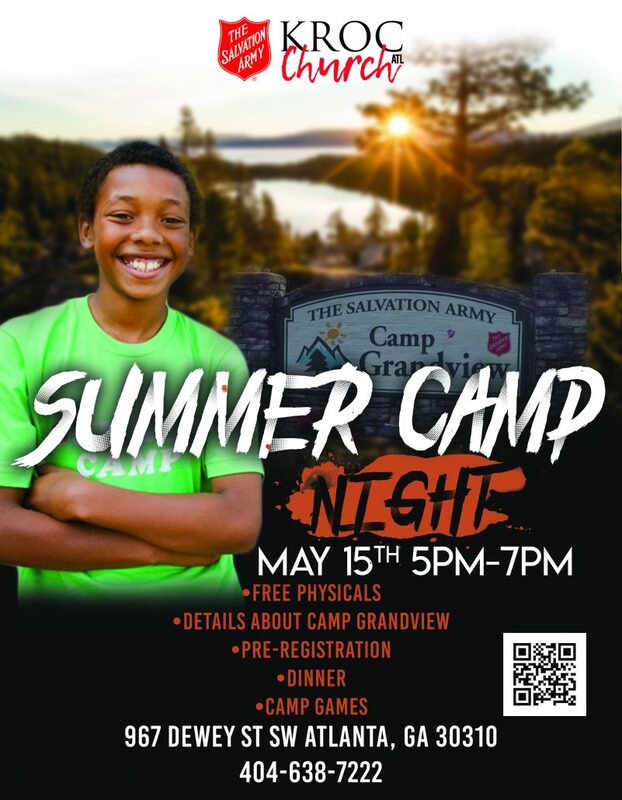 Registration begins Friday, April 12, 2019. Time: Camp programming begins at 8:30am and ends at 5:00pm. You can drop your child(ren) off as early as 7:30am and pick them up as late as 6:00pm at no extra charge. Field Trips: Field trips include Atlanta Braves game, movies, State Capital, hiking & nature trips, Skyzone, and more! Children ages 6-13 (1st through 7th grade) will be able to choose and sign up for a variety of programming in the late afternoons/early evenings here at the Kroc. Programming throughout the school year will include karate, piano, brass instruments, dance, archery, West African drumming, sports leagues, and more. Each evening will consist of two time slots with multiple choices of programming for your child. Programming will culminate in performances at the end of each 9 week semester. Current partnerships include the Atlanta Ballet Company and Shakespeare Theater Company. 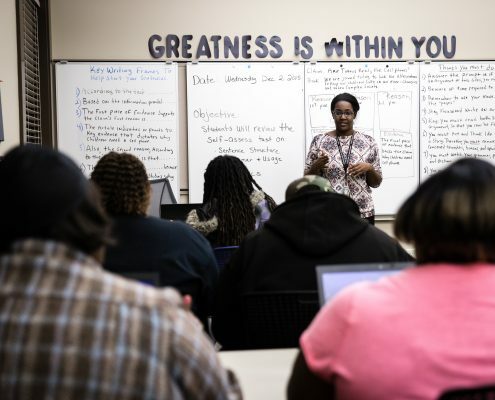 At The Salvation Army Ray and Joan Kroc Corps Community Center, we value educating the whole person. That means that children have the opportunity to grow and learn educationally, artistically, and through fitness, but most importantly, spiritually. Our Character Building program provides all school-age children (K-12) with programming to help them develop positive and moral character according to the Word of God. This program has a foundation rooted in the scouting tradition as children explore the world around them while earning badges using a Biblically-based curriculum to help them grow socially, mentally, and spiritually. Kroc Kids is held Wednesday evenings from 5:00pm – 7:00pm. This program is free and open to the community. Pick-ups are available along some routes. Please call 404.638.7212 to inquire if you need transportation. Applications are accepted year round through our partner, Atlanta Public Schools. Please call 404-802-3560 to register and for more information.